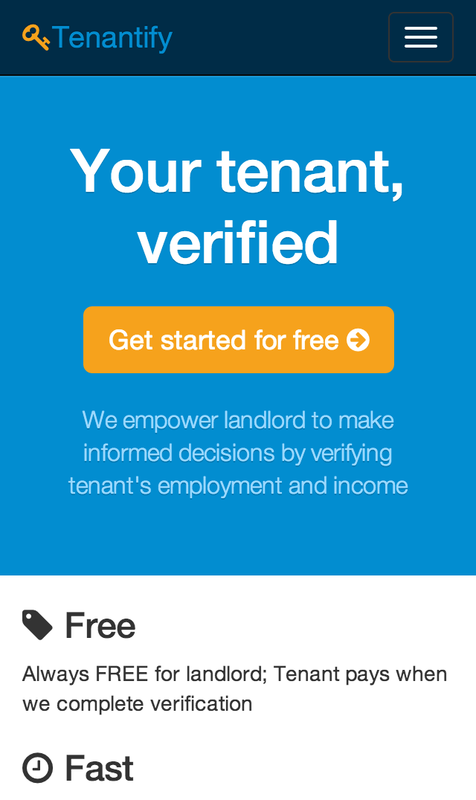 If you're a landlord, you should definitely check out Tenantify. It's a site that helps prevent fraud risk, and makes renting worry-free for landlords. While I have never personally been a landlord, I've heard some horror interesting stories from some of my friends. It's not always easy finding the right renters, and it doesn't sound easy to get rid of the bad ones once you've got them in your place. 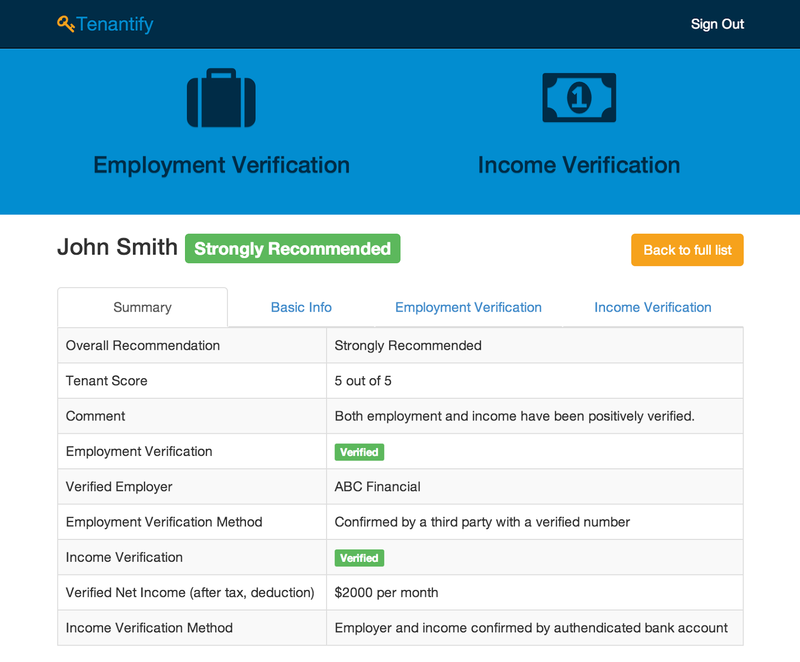 Tenantify gives landlords tenant screening powered by employment and income verification, allowing landlords the ability to assess a potential renter's ability to pay rent each month. It's a fast and thorough tool that makes it easier for landlords to verify income and employment of a potential renter conveniently, securely and without fraud risk. Even better, it's a free service for landlords. The potential renters pay all fees once verification is complete. Fees are very reasonable and can enhance the chances of application success for a qualified renter. Tenantify empowers landlords to make informed decisions and helps to reduce friction in the housing market and build trust between landlord and tenant. If you're a landlord looking for a better way to screen potential renters, be sure and check it out.